All text and images in this article © Kite Centre Sri Lanka / Elements Resort and used with permission. 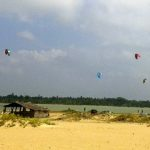 Kite Center Sri Lanka is located 30 minutes south of Kalpitiya in the Northwest Province of Sri Lanka at the point where the wind is funnelled between Sri Lanka and India. This funnelling (Venturi Effect) gifts our spot with constant, stable, reliable wind in both our winter and summer kite seasons. We are right on the beach at Elements Watersports and Nature Resort on the shores of the Indian Ocean and Kappalady Lagoon. The lagoon is a flat-water lagoon which in many places is shallow enough to stand and in others is deep enough for jumping and freestyle. It is a great location for riders of all levels as the water is very calm and flat. The beach is clear with no obstacles. The beach is mostly only used by kitesurfers. 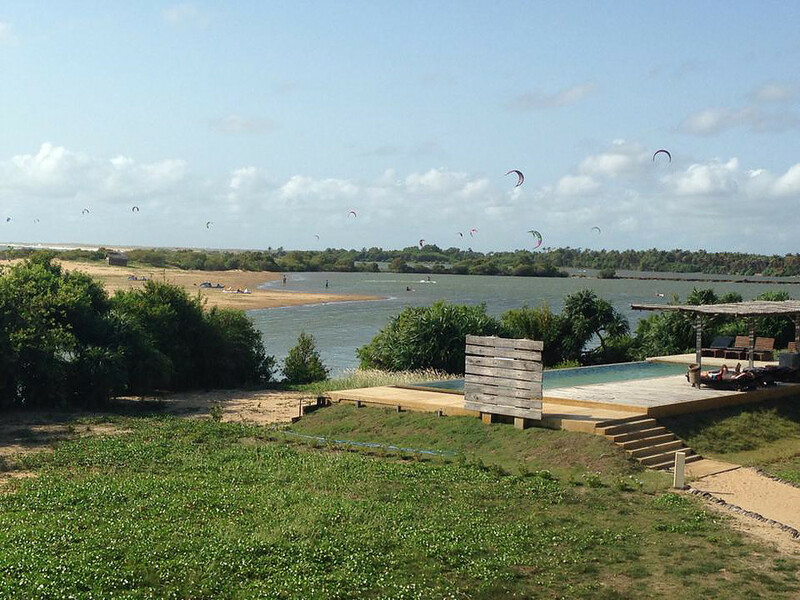 For those looking to learn to kite, we have an on-site kite school. All of our instructors are IKO certified. We offer a range of courses to suit everyone from the absolute beginner, to those looking for a refresher/intermediate course, to the advanced rider who wants to improve his/her freestyle skills. 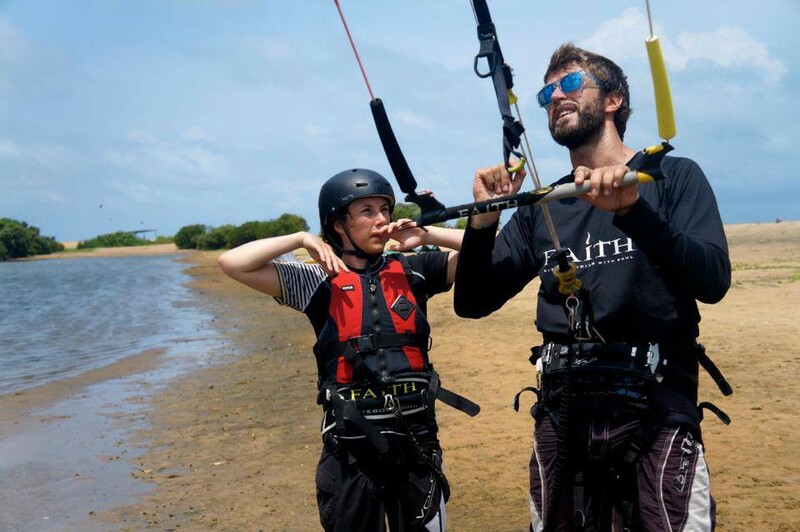 We offer lessons from the beach on the lagoon as well as kite lessons from a boat on a nearby larger lagoon. Here, the student is in the water with the kite and the instructor follows in a boat. In the winter kite season the ocean is also calm and so is also great for learning. We always have a rescue boat on hand. We also rent kites and all kite equipment. 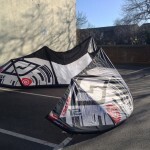 We have kite sizes from 2m to 14m. 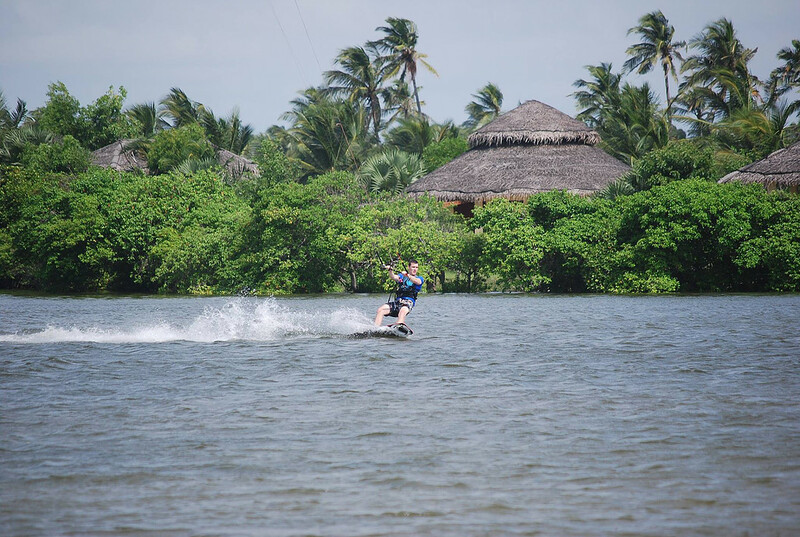 In addition to kite lessons and rentals we also run guided downwinders and kite safaris in the ocean and to and from islands and sandbars in nearby lagoons. The temperature here is a constant 29-35 degrees and the water is always warm, so no wetsuits are required. Our winter kite season runs from 20th December until the end of March. In this season the South-easterly wind starts to blow at between 11am-1pm and keeps blowing all afternoon. 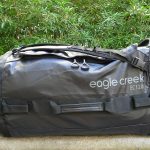 It blows at between 15-20 knots. Our summer kite season runs from mid-May to mid-September, with the North-westerly wind blowing 24 hours per day. In both seasons the wind is side on-shore in the ocean. In both seasons the wind is reliable, steady and clean. In the summer the wind is clean on both ocean and lagoon, but the ocean is pretty rough and choppy during this season. In the winter season the wind is clean on the ocean (and the ocean is calm) but is a little gusty on the lagoon. For accommodation we have a choice of lagoon villas or Cabanas. We also have a beach restaurant and lounge right on the beach. We can arrange airport transfers. When not kiting you can relax by our pool, walk on the beach, rent one of our stand up paddle boards for paddle around the lagoon, visit the famous local shrine or visit the nearby Wilpattu national park for a safari.